What is the purpose of a sermon? Some comments taken from a question Scot McKnight once asked: What is the purpose of the sermon? From this perspective (an admittedly limited one) I think that a good sermon will hold my interest, teach me something new or provide a different perspective or twist of insight into something I know, encourage or convict me to actually live out my faith. My view of a “good sermon” is one that is really educational about Faith, scripture, and practical application to the real world. It’s nice to be feel good and lofty in idealism, but at the end of the day, The Word needs to be viewed with the real world in mind so it can convey a practical, meaningful message. I’m most fed when I either learn something (about God, Jesus, or how I can better relate to Him), when I’m motivated to act out my faith, or when I’m encouraged. I guess I would say that the purpose is to preach the Gospel and to edify the church. Sermons engage me when it’s clear that the preacher has some understanding (need not be exhaustive) of what is being conveyed. There needs to be a flow of ideas and not a lot of “uhms” and circular statements: please, take me somewhere! I personally need to know how what is being preached bears on the meaning of scripture, or the liturgy, or life in God- hopefully all three. And I believe this can be done in less than 15 minutes, preferably no more than ten. I’m also in a church with a Eucharist-centered service. I’ve been churched all my life. Memorable sermons? About five. Details? Nah- what I remember is the Main Thing. But there’s a better chance that later Sunday or during the week I’ll think about the ideas in the sermon if I’m engaged as above. It’s been a long time since I heard such a sermon at my church. This is just a selection. I tried to pick comments that were written by listeners rather than preachers. I hear two things. Teach me something I did not know. Tell me what I can do next. Posted on March 2, 2012 by John MeunierPosted in PreachingTagged Scot McKnight, sermon. Looked at from the standpoint of ritual– which is the usual context for sermons– it seems to me that the sermon functions as a bridge, primarily, from the scripture itself (read, or perhaps sung or expressed in other ways) that comes before to whatever is to come after. If what follows in a given worship order is perhaps a call to decision and a benediction or sending, it becomes important that the sermon bridge the scriptures read or experienced to that moment of decision and sending. This would have been the typical role for preaching or exhortation in the early Methodist societies, as well as the later “American Revivalism” that followed that, and then the later “evangelistic crusades” and “seeker services” that followed these– all using essentially the same pattern of Praise, “Messaging,” Call to Commitment, Sending. If what follows instead is Holy Communion and then Sending (following the more “classic” and generally early Christian pattern of Entrance, Word/Response, Table, Sending), the sermon becomes bridge between Word and Table primarily with implications, perhpas, for how the celebration at Table that day may impact what we do in the Sending. There is a very good reason that most sermons are not remembered. It is simply because they are not repeated. There are exceptions to this, of course. 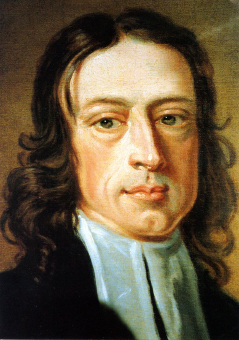 Wesley’s sermons, for example, were repeated, and in some ways still are. So we may remember these. Likewise, John Chrysostom’s sermons on the Incarnation and at Easter Vigil have continued to be repeated in churches– East, West, Orthodox, Protestant, Anglican, Catholic– for well over a millennium. So there is some possiblity that some Christians remember these. But these are the outliers. Meanwhile, there are many parts of our worship we do repeat, regularly, and so remember. We remember hymns we have sung many times. We remember the Lord’s Prayer, and the creeds (if we use them with any regularity). Some of us may remember all or parts of the liturgy of the Great Thanksgiving, though may have a bit more difficulty with the baptismal liturgy since we may do it less frequently. So as I see it, the fact we don’t remember sermons as we usually experience them may not be not a “bug,” but a feature. Unless you are in a tradition committed to sermons as the primary purpose of worship (as some in the Reformed camp, and perhaps a few too many pastors/preachers in all camps may tend to believe), the sermon functions sort of like the Holy Spirit in the Trinity– almost never calling attention to itself, but rather to scripture, or our need for the work of the Spirit in our lives in some way, or what God is doing or might do with us in the Eucharist. I like the idea of the sermon as movement from Scripture to something else. The notion that it should connect to what comes next is helpful to me. I tend to fall into the trap of thinking of it as a discrete object. In the model of worship where the sermon comes last and then leads to the benediction, the connection is to the world and the week ahead. I see that reflected in some of the comments above. People are asking for that. Two follow up questions, if you have time. First, how would this have looked in the early church when the “hearers” were dismissed before the Eucharist? Did they just never make it over the bridge until after their baptism? Second, could you elaborate on the comment about Reformed and others putting too much emphasis on the sermon? There wasn’t a universal pattern for this in early Christianity, but there appear to be two fairly distinctive ones. In one of those patterns, the catechumens were not present AT ALL for the Sunday service. Their participation would have been in daily morning and evening prayer, not on Sunday morning. In this case, they simply didn’t hear sermons, but rather instruction from the scripture read that day or evening. In the other, the catechumens might at SOME point in their process start to be present for Sunday worship, but only for the “service of the Word.” In these instances, we see attempts by preachers to address both audiences distinctly within the sermon– addressing part in particular to the catechumens, and another part more directly to “the elect” or “the illuminated” (two common phrases for persons who had been baptized and were in good standing). During Lent “the penitents” (those who had been removed from the fellowship for some reason and were now in a process of being restored) might also be addressed separately in the sermon. What came next for both penitents and catechumens (and in some places in Egypt) was a dismissal– so the part of the service addressed to them tended to be instruction based on the texts for the day on how to walk aright or correct their path until they could join the whole fellowship. For “the elect” the sermon might go into more doctrinal detail, but the catechumens were not expected to understand necessarily what this would have entailed. I’m sure there were other ways this was worked out, but this was a fairly typical approach based on the evidence we have of preaching in worship from this time period. The Reformers– and even moreso the “Reformed” branch (Calvin, Zwingli, et al)– placed a great deal of stock and emphasis on the sermon as theological, biblical and practical instruction. The method was didactic and exegetical– while in early Christianity the interpretive method was perhaps far more likely to be analogical or metaphorical. We might read these sermons today and consider them more or less college lectures with a fairly authoritarian, didactic intent– and to a great degree, that’s what they were. were to be in worship, apart from a bit of glorifying God in singing the Psalms and perhaps in prayers, was to hear the lecture/sermon “for the edifying of the soul.” Communion was celebrated once quarterly, if that frequently (initially by order of town councils, actually, and not at all Calvin’s preference! ), in part so as to give the most attention possible to the scripture read and proclaimed. This was in sharp contrast to Roman Catholic practice by the 16th century, where homilies were typically fairly minimal, and as likely to be focused on some aspect of worship or the life of a saint, or some element of church tradition, as on the scripture read on a particular day. Given that kind of situation, it’s not unexpected that at least some of the Reformers would have pushed back rather substantially to give the Bible and its explication pre-eminent place in worship. Thank you, Taylor. Great stuff. Thank you. This was very helpful to me.